From the moment a child is born, his or her education begins. At first, education is an informal process in which an infant watches others and imitates them. As the infant grows into a young child, the process of education becomes more formal through play dates and preschool. Once in grade school, academic lessons become the focus of education as a child moves through the school system. But even then, education is about much more than the simple learning of facts. Our education system also socializes us to our society. We learn cultural expectations and norms, which are reinforced by our teachers, our textbooks, and our classmates. (For students outside the dominant culture, this aspect of the education system can pose significant challenges.) You might remember learning your multiplication tables in grade 2 and also learning the social rules of taking turns on the swings at recess. You might recall learning about the Canadian parliamentary process in a social studies course as well as learning when and how to speak up in class. Schools can be agents of change or conformity, teaching individuals to think outside of the family and the local norms into which they were born, while at the same time acclimatizing them to their tacit place in society. They provide students with skills for communication, social interaction, and work discipline that can create pathways to both independence and obedience. In terms of socialization, the modern system of mass education is second only to the family in importance. It promotes two main socializing tasks: homogenization and social sorting. Students from diverse backgrounds learn a standardized curriculum that effectively transforms diversity into homogeneity. Students learn a common knowledge base, a common culture, and a common sense of society’s official priorities, and perhaps more importantly, they learn to locate their place within it. They are provided with a unifying framework for participation in institutional life and at the same time are sorted into different paths. 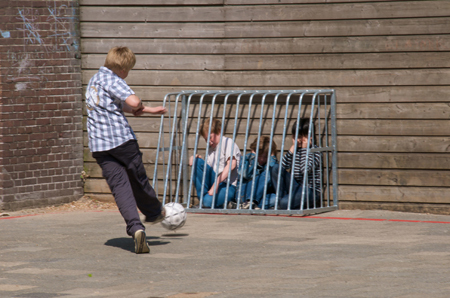 Those who demonstrate facility within the standards established by curriculum or through the informal patterns of status differentiation in student social life are set on trajectories to high-status positions in society. Those who do less well are gradually confined to lower, subordinate positions in society. Within the norms established by school curriculum and teaching pedagogies, students learn from a very early age to identify their place as A, B, C, etc. level vis-à-vis their classmates. In this way, schools are profound agencies of normalization. Education is a social institution through which a society’s children are taught basic academic knowledge, learning skills, and cultural norms. Every nation in the world is equipped with some form of education system, though those systems vary greatly. The major factors affecting education systems are the resources and money that are utilized to support those systems in different nations. As you might expect, a country’s wealth has much to do with the amount of money spent on education. Countries that do not have such basic amenities as running water are unable to support robust education systems or, in many cases, any formal schooling at all. The result of this worldwide educational inequality is a social concern for many countries, including Canada. International differences in education systems are not solely a financial issue. The value placed on education, the amount of time devoted to it, and the distribution of education within a country also play a role in those differences. For example, students in South Korea spend 220 days a year in school, compared to the 190 days (180 days in Quebec) a year of their Canadian counterparts. Canadian students between the ages of 7 and 14 spend an average of 7,363 hours in compulsory education compared to an average of 6,710 hours for all member countries of the Organisation for Economic Co-operation and Development (OECD) countries (Statistics Canada 2012). As of 2012, Canada ranked first among OECD countries in the proportion of adults aged 25 to 64 with post-secondary education (51 percent). Canada ranked first with students with a college education (24 percent) and eighth in the proportion of adults with a university education (26 percent). However, with respect to post-secondary educational attainment of 25- to 34-year-olds, Canada falls into 15th place as post-secondary education attainment rates in countries like South Korea and Ireland have been surpassing Canada by a large margin in recent years (OECD 2013). Then there is the issue of educational distribution within a nation. In December 2010, the results of the Program for International Student Assessment (PISA) tests, which are administered to 15-year-old students worldwide, were released. Those results showed that students in Canada performed well in reading skills (5th out of 65 countries), math (8th out of 65 countries), and science (7th out of 65 countries) (Knighton, Brochu, and Gluszynski 2010). Students at the top of the rankings hailed from Shanghai, Finland, Korea, Hong Kong, and Singapore. The United States on the other hand was 17th in reading skills and had fallen from 15th to 25th in the rankings for science and math (National Public Radio 2010). Finally, there is the issue of social factors. One analyst from the OECD, the organization that created the test, attributed 20 percent of performance differences and the United States’ low rankings to differences in social background. Canadian students’ average scores were high over all but were also highly equitable, meaning that the difference in performance between high scorers and low scorers was relatively low (Knighton, Brochu, and Gluszynski 2010). This suggests that differences in educational expenditure between jurisdictions and in the socioeconomic background of students are not so great as to create large gaps in performance. However, in the United States, researchers noted that educational resources, including money and quality teachers, are not distributed equitably. In the top-ranking countries, limited access to resources did not necessarily predict low performance. Analysts also noted what they described as “resilient students,” or those students who achieve at a higher level than one might expect given their social background. 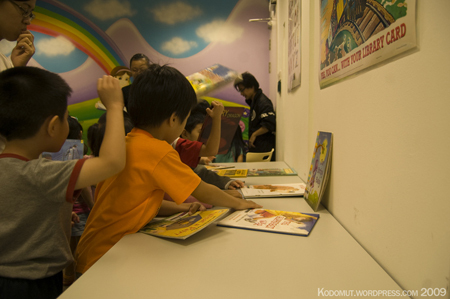 In Shanghai and Singapore, the proportion of resilient students is about 70 percent. In the United States, it is below 30 percent. These insights suggest that the United States’ educational system may be on a descending path that could detrimentally affect the country’s economy and its social landscape (National Public Radio 2010). 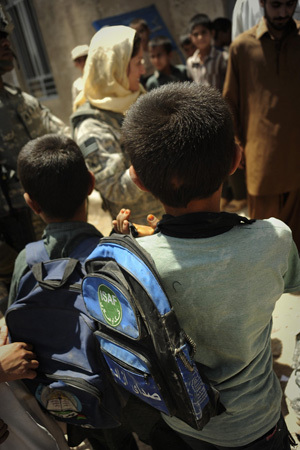 Since the fall of the Taliban in Afghanistan, there has been a spike in demand for education. This spike is so great, in fact, that it has exceeded the nation’s resources for meeting the demand. More than 6.2 million students are enrolled in grades 1 through 12 in Afghanistan, and about 2.2 million of those students are female (World Bank 2011). Both of these figures are the largest in Afghan history—far exceeding the time before the Taliban was in power. At the same time, there is currently a severe shortage of teachers in Afghanistan, and the educators in the system are often undertrained and frequently do not get paid on time. Currently, they are optimistic and enthusiastic about educational opportunities and approach teaching with a positive attitude, but there is fear that this optimism will not last. Formal education describes the learning of academic facts and concepts through a formal curriculum. Arising from the tutelage of ancient Greek thinkers, centuries of scholars have examined topics through formalized methods of learning. Three hundred years ago few people knew how to read and write. Education was available only to the higher classes; they had the means to access scholarly materials, plus the luxury of leisure time that could be used for learning. The rise of capitalism and its accompanying social changes made education more important to the economy and therefore more accessible to the general population. Around 1900, Canada and the United States were the first countries to come close to the ideal of universal participation of children in school. The idea of universal mass education is therefore a relatively recent idea, one that is still not achieved in many parts of the world. The modern Canadian educational system is the result of this progressive expansion of education. Today, basic education is considered a right and responsibility for all citizens. Expectations of this system focus on formal education, with curricula and testing designed to ensure that students learn the facts and concepts that society believes are basic knowledge. In contrast, informal education describes learning about cultural values, norms, and expected behaviours by participating in a society. This type of learning occurs both through the formal education system and at home. Our earliest learning experiences generally happen via parents, relatives, and others in our community. Through informal education, we learn how to dress for different occasions, how to perform regular life routines like shopping for and preparing food, and how to keep our bodies clean. Cultural transmission refers to the way people come to learn the values, beliefs, and social norms of their culture. Both informal and formal education include cultural transmission. 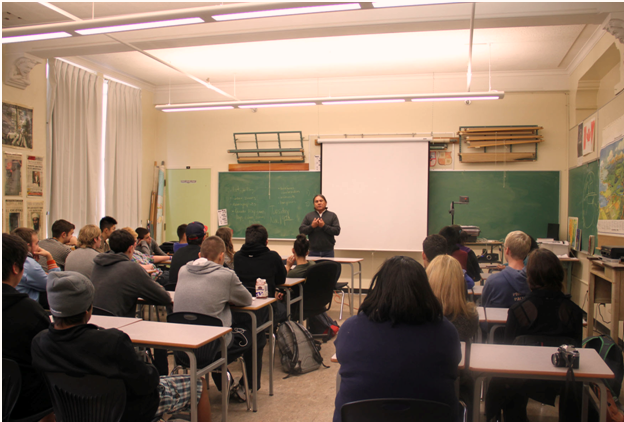 For example, a student will learn about cultural aspects of modern history in a Canadian history classroom. In that same classroom, the student might learn the cultural norm for asking a classmate out on a date through passing notes and whispered conversations. Another global concern in education is universal access. This term refers to people’s equal ability to participate in an education system. On a world level, access might be more difficult for certain groups based on race, class, or gender (as was the case in Canada earlier in our nation’s history, a dynamic we still struggle to overcome). The modern idea of universal access arose in Canada as a concern for people with disabilities. In Canada, one way in which universal education is supported is through provincial governments covering the cost of free public education. Of course, the way this plays out in terms of school budgets and taxes makes this an often-contested topic on the national, provincial, and community levels. Although school boards across the country had attempted to accommodate children with special needs in their educational systems through a variety of means from the 19th century on, it was not until the implementation of the Canadian Charter of Rights and Freedoms in 1982 that the question of universal access to education for disabled children was seen in terms of a Charter right (Siegel and Ladyman 2000). Many provincial jurisdictions implemented educational policy to integrate special needs students into the classroom with mainstream students. For example, policy in British Columbia was revised in the mid-1990s to include specific measures to define students with special needs, develop individual education plans, and find school placements for students with special needs (Siegel and Ladyman 2000). In Ontario, Bill 82 was passed in 1980, establishing five principles for special education programs and services for special needs students: Universal access, education at public expense, an appeal process, ongoing identification and continuous assessment, and appropriate programming (Morgan 2003). While it is clear that education plays an integral role in individuals’ lives as well as society as a whole, sociologists view that role from many diverse points of view. Functionalists believe that education equips people to perform different functional roles in society. Critical sociologists view education as a means of widening the gap in social inequality. Feminist theorists point to evidence that sexism in education continues to prevent women from achieving a full measure of social equality. Symbolic interactionists study the dynamics of the classroom, the interactions between students and teachers, and how those affect everyday life. In this section, you will learn about each of these perspectives. There are several major manifest functions associated with education. The first is socialization. Beginning in preschool and kindergarten, students are taught to practise various societal roles. The French sociologist Émile Durkheim (1858–1917), who established the academic discipline of sociology, characterized schools as “socialization agencies that teach children how to get along with others and prepare them for adult economic roles” (Durkheim 1898). This socialization also involves learning the rules and norms of the society as a whole. In the early days of compulsory education, students learned the dominant culture. Today, since the culture of Canada is increasingly diverse, students may learn a variety of cultural norms, not only that of the dominant culture. School systems in Canada also transmit the core values of the nation through manifest functions like social control. One of the roles of schools is to teach students conformity to law and respect for authority. Obviously, such respect, given to teachers and administrators, will help a student navigate the school environment. This function also prepares students to enter the workplace and the world at large, where they will continue to be subject to people who have authority over them. Fulfillment of this function rests primarily with classroom teachers and instructors who are with students all day. Education also provides one of the major methods used by people for upward social mobility. This function is referred to as social placement. University and graduate schools are viewed as vehicles for moving students closer to the careers that will give them the financial freedom and security they seek. As a result, university students are often more motivated to study areas that they believe will be advantageous on the social ladder. A student might value business courses over a class in Victorian poetry because he or she sees business class as a stronger vehicle for financial success. Education also fulfills latent functions. Much goes on in school that has little to do with formal education. For example, you might notice an attractive fellow student when he gives a particularly interesting answer in class—catching up with him and making a date speaks to the latent function of courtship fulfilled by exposure to a peer group in the educational setting. The educational system, especially as experienced on university campuses, has traditionally provided a place for students to learn about various social issues. There is ample opportunity for social and political advocacy, as well as the ability to develop tolerance to the many views represented on campus. In 2011, the Occupy Wall Street movement swept across university campuses all over Canada, leading to demonstrations in which diverse groups of students were unified with the purpose of changing the political climate of the country. Table 16.2. Manifest and Latent Functions of Education. According to functionalist theory, education contributes to both manifest and latent functions. Functionalists recognize other ways that schools educate and enculturate students. One of the most important values students in Canada learn is that of individualism—the valuing of the individual over the value of groups or society as a whole. In countries such as Japan and China, where the good of the group is valued over the rights of the individual, students do not learn as they do in Canada that the highest rewards go to the “best” individual in academics as well as athletics. One of the roles of schools in Canada is fostering self-esteem; conversely, schools in Japan focus on fostering social esteem—the honouring of the group over the individual. In Canada, schools also fill the role of preparing students for competition and cooperation in life. Obviously, athletics foster both a cooperative and competitive nature, but even in the classroom, students learn both how to work together and how to compete against one another academically. Schools also fill the role of teaching patriotism. 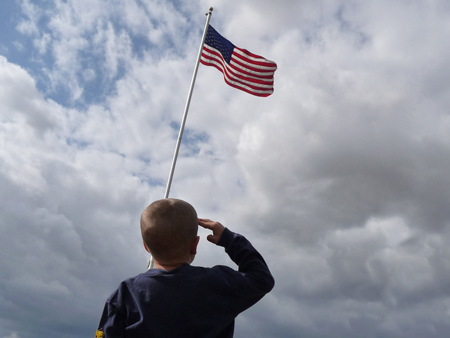 Although Canadian students do not have to recite a pledge of allegiance each morning, like students in the United States, they do take social studies classes where they learn about common Canadian history and identity. Another role of schools, according to functionalist theory, is that of sorting, or classifying students based on academic merit or potential. The most capable students are identified early in schools through testing and classroom achievements. Exceptional students are often placed in accelerated programs in anticipation of successful university attendance. Other students are guided into vocational training programs with emphasis on shop and home economics. Critical sociologists do not believe that public schools reduce social inequality. Rather, they believe that the educational system reinforces and perpetuates social inequalities arising from differences in class, gender, race, and ethnicity. Where functionalists see education as serving a beneficial role, critical sociologists view it more critically. To them, it is important to examine how educational systems preserve the status quo and guide people of lower status into subordinate positions in society. The fulfillment of one’s education is closely linked to social class. Students of low socioeconomic status are generally not afforded the same opportunities as students of higher status, no matter how great their academic ability or desire to learn. For example, 25 of every 100 low-income Canadian 19-year-olds attend university compared to 46 of every 100 high-income Canadian 19-year-olds (Berger, Motte, and Parkin 2009). Barriers like the cost of higher education, but also more subtle cultural cues, undermine the promise of education as a means of providing equality of opportunity. Picture a student from a working-class home who wants to do well in school. On a Monday, he’s assigned a paper that’s due Friday. Monday evening, he has to babysit his younger sister while his divorced mother works. Tuesday and Wednesday he works stocking shelves after school until 10:00 p.m. By Thursday, the only day he might have available to work on that assignment, he is so exhausted he cannot bring himself to start the paper. His mother, though she would like to help him, is so tired herself that she isn’t able to give him the encouragement or support he needs. Since English is her second language, she has difficulty with some of his educational materials. They also lack a computer and printer at home, which most of his classmates have, so they have to rely on the public library or school system for access to technology. 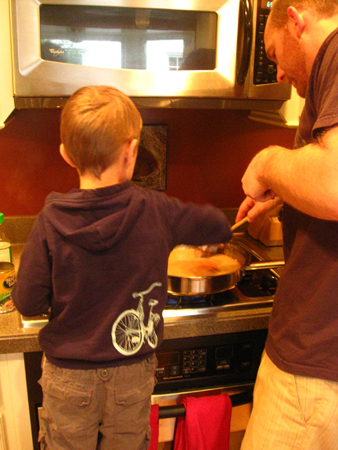 As this story shows, many students from working-class families have to contend with helping out at home, contributing financially to the family, having poor study environments, and lacking material support from their families. This is a difficult match with education systems that adhere to a traditional curriculum that is more easily understood and completed by students of higher social classes. Such a situation leads to social class reproduction, extensively studied by French sociologist Pierre Bourdieu. He researched how, parallel to economic capital (as analyzed by Marx), cultural capital, or the accumulation of cultural knowledge that helps one navigate a culture, alters the experiences and opportunities available to French students from different social classes. Bourdieu emphasized that like economic capital, cultural capital in the form of cultural taste, knowledge, patterns of speech, clothing, proper etiquette, etc. is difficult and time consuming to acquire. Members of the upper and middle classes have more cultural capital than families of lower-class status, and they can pass it on to their children from the time that they are toddlers. As a result, the educational system maintains a cycle in which the dominant culture’s values are rewarded. Instruction and tests cater to the dominant culture and leave others struggling to identify with values and competencies outside their social class. For example, there has been a great deal of discussion over what standardized tests such as the IQ test and aptitude tests truly measure. Many argue that the tests group students by cultural ability rather than by natural intelligence. The cycle of rewarding those who possess cultural capital is found in formal educational curricula as well as in the hidden curriculum, which refers to the type of nonacademic knowledge that one learns through informal learning and cultural transmission. The hidden curriculum is never formally taught but it is implied in the expectation that those who accept the formal curriculum, institutional routines, and grading methods will be successful in school. This hidden curriculum reinforces the positions of those with higher cultural capital, and serves to bestow status unequally. Critical sociologists also point to tracking, a formalized sorting system that places students on “tracks” (advanced versus low achievers) that perpetuate inequalities. 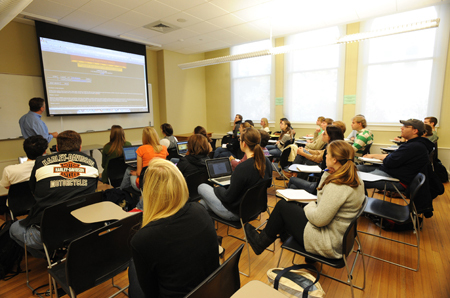 While educators may believe that students do better in tracked classes because they are with students of similar ability and may have access to more individual attention from teachers, critical sociologists feel that tracking leads to self-fulfilling prophecies in which students live up (or down) to teacher and societal expectations (Education Week 2004). As noted above, IQ tests have been attacked for being biased—for testing cultural knowledge rather than actual intelligence. For example, a test item may ask students what instruments belong in an orchestra. To correctly answer this question requires certain cultural knowledge—knowledge most often held by more affluent people who typically have more exposure to orchestral music. On the basis of IQ and aptitude testing, students are frequently sorted into categories that place them in enriched program tracks, average program tracks, and special needs or remedial program tracks. Though experts in testing claim that bias has been eliminated from tests, conflict theorists maintain that this is impossible. The tests are another way in which education does not provide equal opportunities, but instead maintains an established configuration of power. In Canada women`s educational attainments have slowly been increasing with respect to men’s. Women now make up 56 percent of all post-secondary students and 58 percent of graduates from post-secondary institutions in Canada (Statistics Canada 2013). Canadian women in fact have the highest percentage of higher educational attainment among all OECD countries at 55 percent. A university education is also more financially advantageous for women in Canada than men relatively speaking. Women with a higher education degree earn on average 50 percent more than they would without higher education compared to 39 percent more for men. However, men with higher education were more likely to have a job than women with higher education (84.7 percent to 78.5 percent), and women earned less than men in absolute terms with their education: 74 cents for each dollar earned by men for ages 24 to 64 (OECD 2012). A Statistics Canada study released in 2011 showed that, among full-time employed men and women aged 25 to 29 with a graduate or professional degree, women still earned only 96 cents for every dollar earned by men in 2005. (With a bachelor`s degree they earned 89 cents for every dollar earned by men.) This trend was similar among all fields of study except for physical and life sciences, and technologies and health, parks, recreation and fitness where women actually earned more than men (Turcotte 2011). Consider a large-city newspaper publisher. Ten years ago, when culling résumés for an entry-level copywriter, they were well assured that if they selected a grad with a GPA of 3.7 or higher, they would have someone with the writing skills to contribute to the workplace on day one. But over the last few years, they have noticed that A-level students do not have the competency evident in the past. More and more, they find themselves in the position of educating new hires in abilities that, in the past, had been mastered during their education. This story illustrates a growing concern referred to as grade inflation—a term used to describe the observation that the correspondence between letter grades and the achievements they reflect has been changing (in a downward direction) over time. Put simply, what used to be considered C-level, or average, now often earns a student a B, or even an A. For example, in 2010 70 percent of first-year students in Canadian universities reported having an A-minus average or greater in high school, and increase of 40 per cent from the early 1980s (Dehaas 2011). Why is this happening? Research on this emerging issue is ongoing, so no one is quite sure yet. Some cite the alleged shift toward a culture that rewards effort instead of product (i.e., the amount of work a student puts in raises the grade, even if the resulting product is poor quality). Another oft-cited contributor is the pressure many of today’s instructors feel to earn positive course evaluations from their students—records that can tie into teacher compensation, award of tenure, or the future career of a young grad teaching entry-level courses. The fact that these reviews are commonly posted online exacerbates this pressure. Other studies do not agree that grade inflation exists at all. In any case, the issue is hotly debated, with many being called upon to conduct research to help us better understand and respond to this trend (Mansfield 2001; National Public Radio 2004). Symbolic interactionism sees education as one way that the labelling theory can be demonstrated in action. A symbolic interactionist might say that this labelling has a direct correlation to those who are in power and those who are being labelled. For example, low standardized test scores or poor performance in a particular class often lead to a student being labelled as a low achiever. Such labels are difficult to “shake off,” which can create a self-fulfilling prophecy (Merton 1968). In his book High School Confidential, Jeremy Iverson details his experience as a Stanford graduate posing as a student at a California high school. One of the problems he identifies in his research is that of teachers applying labels that students are never able to lose. One teacher told him, without knowing he was a bright graduate of a top university, that he would never amount to anything (Iverson 2006). Iverson obviously didn’t take this teacher’s false assessment to heart. However, when an actual 17-year-old student hears this from a person with authority, it is no wonder that the student might begin to “live down to” that label. The labelling with which symbolic interactionists concern themselves extends to the very degrees that symbolize completion of education. Credentialism embodies the emphasis on certificates or degrees to show that a person has a certain skill, has attained a certain level of education, or has met certain job qualifications. These certificates or degrees serve as a symbol of what a person has achieved, allowing the labelling of that individual. Indeed, as these examples show, labelling theory can significantly impact a student’s schooling. This is easily seen in the educational setting, as teachers and more powerful social groups within the school dole out labels that are adopted by the entire school population. Educational systems around the world have many differences, though the same factors—including resources and money—affect each of them. Educational distribution is a major issue in many nations, including in the United States, where the amount of money spent per student varies greatly by state. Education happens through both formal and informal systems; both foster cultural transmission. Universal access to education is a worldwide concern. The major sociological theories offer insight into how we understand education. Functionalists view education as an important social institution that contributes both manifest and latent functions. Functionalists see education as serving the needs of society by preparing students for later roles, or functions, in society. Critical sociologists see schools as a means for perpetuating class, racial-ethnic, and gender inequalities. In the same vein, feminist theory focuses specifically on the mechanisms and roots of gender inequality in education. The theory of symbolic interactionism focuses on education as a means for labelling individuals. 1. What are the major factors affecting education systems throughout the world? 5. The Canadian Charter of Rights and Freedoms was an impetus for __________. 6. Which of the following is not a manifest function of education? 7. Because she plans on achieving success in marketing, Tammie is taking courses on managing social media. This is an example of ________. 8. Which theory of education focuses on the ways in which education maintains the status quo? 9. Which theory of education focuses on the labels acquired through the educational process? 10. What term describes the assignment of students to specific education programs and classes on the basis of test scores, previous grades, or perceived ability? 11. Functionalist theory sees education as serving the needs of _________. 12. Rewarding students for meeting deadlines and respecting authority figures is an example of ________. 13. What term describes the separation of students based on merit? 14. Critical sociologists see sorting as a way to ________. 15. Critical sociologists see IQ tests as being biased. Why? Durkheim, Émile. 1898 . Education and Sociology. New York: Free Press. Chapter 16. Education by William Little and Ron McGivern is licensed under a Creative Commons Attribution 4.0 International License, except where otherwise noted.